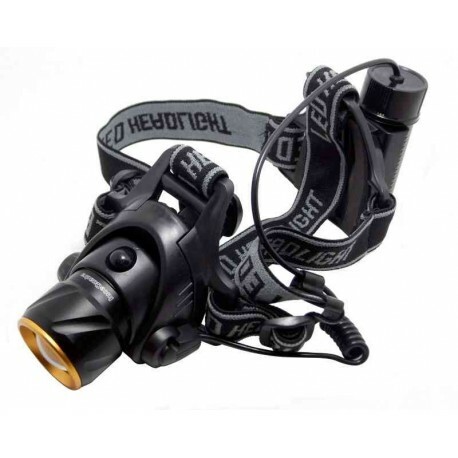 Head Flashlight with aluminum with LED light and zoom regolabile.Interruttore magnetic touch. Power supply: 3 AAA batteries (not included). Lighting: 1 LED CREE XPGR4 5 Watt. Capacity of light: 200 meters. 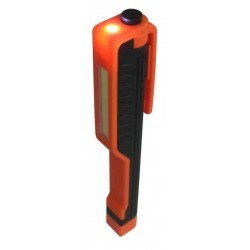 Functions: light intensity of 100%, 50, flashing. 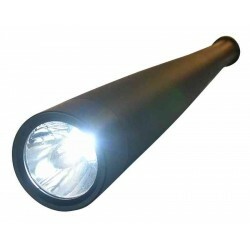 Zoom adjustable light beam. Back pack batteries for weight balance.